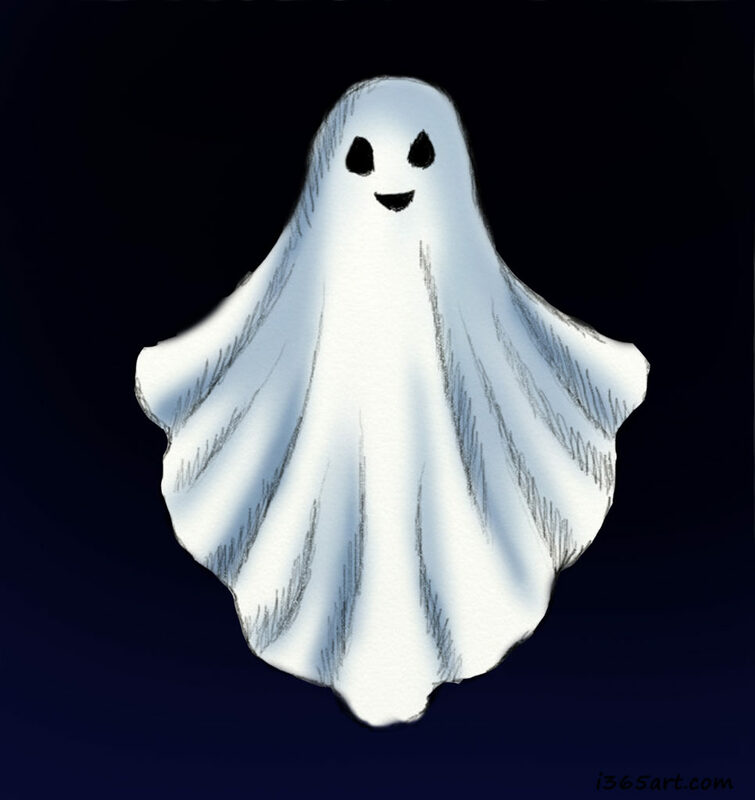 As promised, I will be sharing one of my own personal paranormal experiences for the month of October, hence the drawing of the sheet ghost. Halloween is around the corner and I felt this was appropriate. The following event took place just 2 years ago. was staying at my best friend’s mom’s girl friend’s house (that’s totally long and I know I probably could have shortened it some!) in Pasadena. We were attending a popular anime convention in town (Pacific Media Expo) and we didn’t want to have to pay for a hotel. My friend mentioned that a friend of her mom’s lived just a few blocks away from the convention and that she would let us stay there for a while. She was an emergency and live in nurse so she was hardly ever around. As a matter of fact, she wasn’t there that entire weekend! So anyway, we arrived the house early that Friday and prepared to stay there the whole weekend. We enjoyed our first day at the con and everything was going great until nightfall. Around 11 or so, we left the convention and headed back to her mom’s friend’s place to get some sleep.My friend and I were cosplaying that day and we were covered in paint from head to toe pretty much xD! The place had 2 bathrooms, one downstairs and one upstairs. This was very convenient. I chose to shower in the bathroom downstairs (I wish I didn’t!) and my friend went upstairs and in to that bathroom. As I was in the shower, I heard a very aggressive and heavy knock on the bathroom door. I called out for my friend and she didn’t respond. I got out of the shower, wrapped a towel around me and opened the door. To my surprise, no one was there. I figured it was my friend and that she was probably just messing around. So I jumped back in the shower, without a further question in my mind. After I finished up with my shower, I went upstairs to see if my friend was finished showering. She had a lot more body paint on her body than I did so it was no surprise to me that she was still showering! I waited for her in the living room and about 10 minutes later, she was out. She came in to the living room and we began to have just a normal conversation. I can’t quite remember what we were talking about at the time, but I do know that we did mention what we were gonna do the next day. Not really thinking much about, I went ahead and asked her if she knocked on my bathroom door while I was in the shower. She had this weird look on her face, like a really bewildered look. She responded with a no. I fell super silent for a moment and then she proceeded to ask why I asked that question. All I could do was ask if she was sure that she didn’t knock on my door. Then she mentioned hearing me talk to someone while she was in the shower upstairs. At this point, we were both freaking out xD. She thought I was kidding and that I was trying to scare her, but I kept telling her that I wasn’t. She said she never came back downstairs and went straight to the shower upstairs, which I saw her do. After the initial shock of the door knocking event, we tried to find a logical explanation for the knock. We considered the possibility that it could have been the neighbors, but this was a free standing house, there were no neighbors connected to the house. Someone had to have physically knocked on the door. I saw the door move as if a physical someone was knocking on it for crying out loud xD! I mean, it sounded like a man’s fists, knocking at the bathroom door, almost angrily! For the duration of the convention, we stayed far, far away from the downstairs bathroom and bedroom. We kept hearing weird noises down there from above as well while we were over there. Okay, so you don’t have to believe my story, but all I can say is that this really did happen and to this day, me and her still don’t have an explanation for why it happened. I wanted to ask the owner of the house if there were ghosts in the home when she came back that Sunday, but I was too afraid to because I didn’t want to seem crazy I guess :s.